Does Dembele have a way forward at the Nou Camp or only a way out? Barcelona was destined to struggle after Neymar's departure. The Brazilian's exit broke supporters' hearts. Like many lovers seeking to ease the pain, Barca quickly signed a replacement on the rebound. Looking for a star who could fill Neymar's shoes, the Cules chose Ousmane Dembele. The Frenchman’s quality is obvious. His lightning pace and dribble skills terrorise defences. In addition, he's good with both feet and can play across the final third, providing his new gaffer with tactical options. When you're 20, however, replacing a player ranked among the three best in the world can weigh on you. To add to the pressure, a hamstring cost him most of his first campaign, further building up expectations when he finally returned. 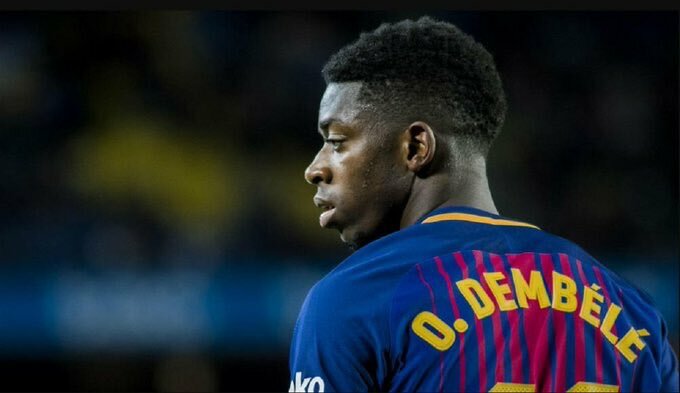 Regardless, you can't tell fans not to expect a lot from a Barcelona player and so far, Dembele hasn't met the standard. Barcelona hedged their bet by signing Philippe Coutinho and later Malcom. The former Borussia Dortmund struggles for playing time and, to my eye, Ernesto Valverde isn't pleased with Dembele's output. After an extended run in the team on either side of the New Year, the boss now prefers Coutinho. You can't blame him. Coutinho settled well and shows eagerness to succeed at his new club. He plays with more seriousness, commitment and consistency than Dembele. The Brazilian contributes to the team in both attack and defensively. To make things more interesting, he combines well with Messi. There's chemistry between them. Need I tell you that everything revolves around the Argentine in Barcelona? If Valverde decides to play 4-3-3 permanently, don't be surprised if Coutinho completes a formidable trio with Messi and Luis Suarez. Dembele’s versatility allows him to function as a midfielder but there is no space in the middle of the Nou Camp either. Sergio Busquets, Rakitic, Arthur and Arturo Vidal all get the nod before the French kid. For tactical reasons, Valverde might play a 4-man midfield. In such a case, Coutinho will be preferred. Whether that opens a forward role is questionable with Kevin-Prince Boateng also in the fold since January. At the moment, Coutinho enjoys more playing time than Dembele and can perform better wherever the manager asks him to play. There's a clear pecking order in the Barcelona attack even when Messi is not on the pitch. Neymar was the one to step up when he was in Catalonia. He'd take over games even when Messi was playing. Remember the comeback against PSG that led to his departure? When he was signed, fans envisioned Dembele doing the same. When the opportunity came in the recent Copa del Rey final against Sevilla, however, Valverde looked to Coutinho who provided a brace. Dembele wasn't even in the squad. Going into the second leg of a cup tie down 2-0, the manager saw no need for the youngster. That is telling. Being a squad player on an elite team doesn't help a player develop. Regular playing time on an average team serves better. A loan move in the summer may be best for Dembele. Already easily distracted by video games, he needs to have less time on his hands, not more. Given greater responsibility, he may learn to handle it. Arsenal is an excellent option. Cesc Fabregas developed his game there. Moreover, the North Londoners lack a winger. He can step right into the Gunners' XI. The English game's tempo will demand greater energy and focus. It will make or break him. If he responds, he'll be ready for a starting role with Barca. Now 21, Dembele has time to learn and develop. With application, he can be the next star when Messi finally hangs them up. That's even better than being Neymar's replacement.